How much do you enjoy being right? Does being right bring you a huge sense of satisfaction? Do you know when being right is actually wrong? When being right costs you clients, it’s wrong. To be completely transparent, I LOVE to be right. Being right brings me a huge sense of satisfaction. If you were to ask my significant other about my need to be right, he’d probably confess, it’s one of the things he likes least about me. Since I’m aware of this deep desire to be right, I also make an effort to keep it in check when interacting with clients. If I let it rear its ugly head in a client interaction, it can damage the relationship. It’s one of the quickest ways to break rapport with someone. She might have been 100% correct, maybe I could have been more clear in my communication. Maybe I did mistakenly say two initially. However, does pointing that out help the relationship in any way? I instantly felt put off by her response. She could have corrected the order and left her snarky comment unsaid. It wouldn’t have changed the dollar amount of the sale as I never intended to buy two regardless of what she heard or what I said. In these situations, leaving things unsaid does more for the rapport and relationship than the need to be “right”. Catch yourself in these moments and let go of any “but I’m right and you’re wrong” responses. 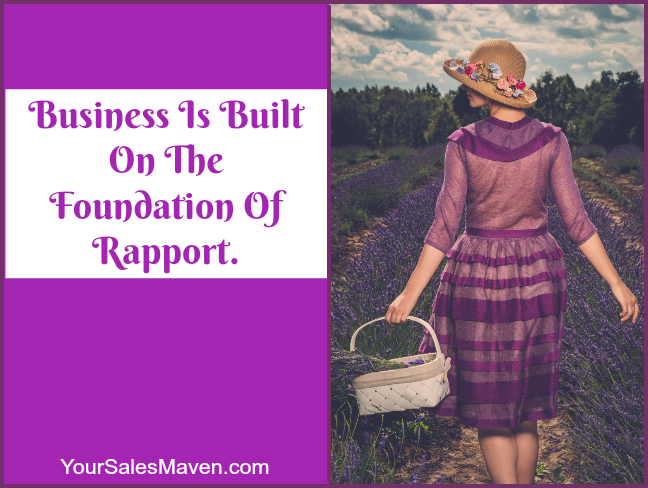 Remember, most of us build our businesses on repeat and referral business. It’s important to leave your clients feeling good about their interaction with you. This is what keeps people coming back again and again. Another, slightly less obvious, example of the being right mentality has to do with the way we phrase things to a client. This was brought to my attention in a recent training I was doing. I was teaching a sales technique known as backtracking. Backtracking is stating back what’s been said using your client’s keywords. One of the participants in the room shared how he’s been using this technique for quite some time in his sales process. He’s an experienced sales professional with tons of charm. Someone along the way advised him to start his backtracking by saying, “So what I heard you say was…(insert your client’s keywords)”. Here’s where the person who taught him this and I differ. When you say to a client, ‘What I heard you say was…” how can they refute that without it causing some weird friction. Let’s be candid, what someone hears and what you actually say may, in fact, be different. Have you ever been certain of what someone said and then when you hear a replay of it, you learn that what you heard and what they said were not the same thing? It happens. So when you tell a client what you heard, you’re putting them in the position of having to tell you, you’re wrong. Again, this can break down rapport. When you want to state back what someone’s said, leave off the “What I heard you say was…” and instead say, “You mentioned (insert their keywords), is that right?” It’s a softer way to check to be sure you’re understanding your client. With just a little adjustment to your communication, you can either build rapport or damage it. Which will you choose as you engage with your clients?